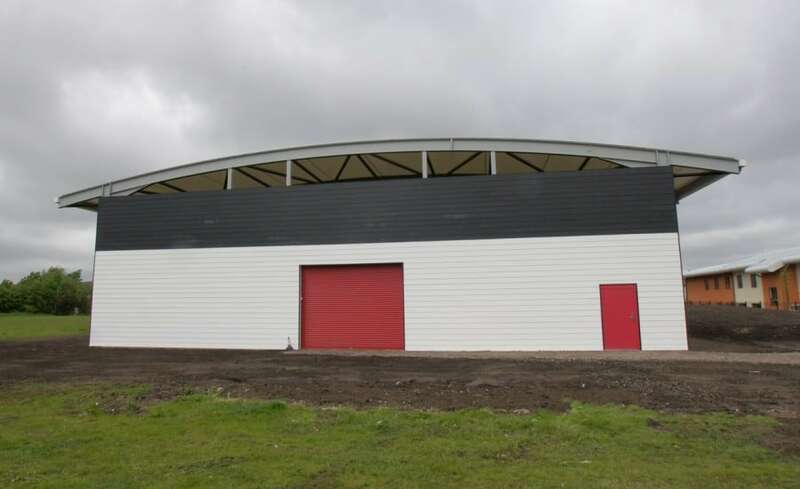 After being consulted by the project team early on in the design process, the Architen Landrell team was delighted to be contracted to design, manufacture and install the tensile fabric roof structure over the Thatto Heath Crusaders Amateur Rugby League Football Club Training Barn. 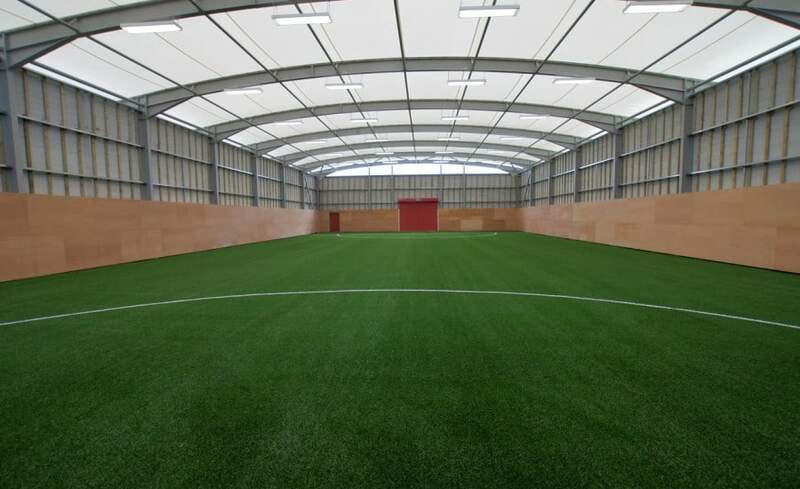 Based in Thatto Heath, St Helens, just outside Liverpool, the newly developed training barn was designed to provide the club with a covered space for all weather training. 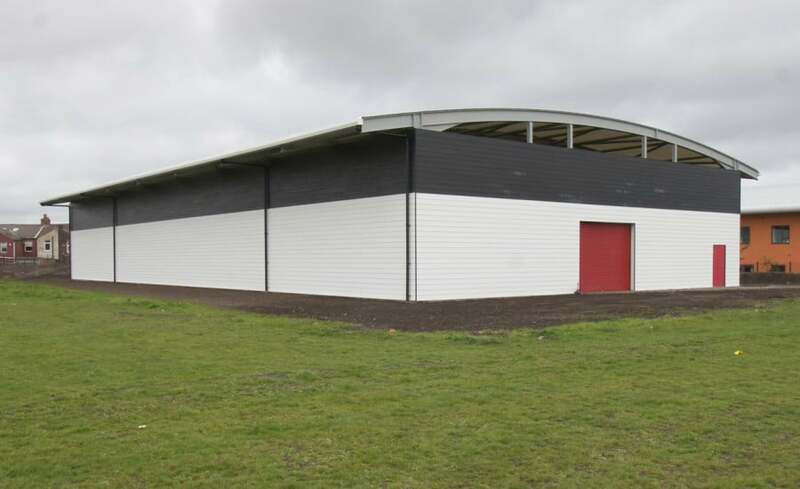 The scheme design proposed a cladded steel-framed building incorporating a tensile fabric roof to keep weight to a minimum, ensure water-tightness and allow effective light penetration to provide a cost effective facility for the Rugby Club. Having worked with Architen Landrell in the past and after a competitive tendering process, Paragon Construction chose us to proceed with the works. The overall programme was tight with this project and we had to pull out all the stops to ensure the design work could be carried out quickly and accurately. Thanks to the hard work of our in-house design team, our production staff and the installation team, we managed to start on site one week earlier than planned and gain Practical Completion before our Contracted start on site date. Project Manager Matt Danby comments: “Im extremely proud of the hard work we all put in on this project and the results are clear a smart looking tensile fabric roof delivered in a timely and efficient fashion. A superb job all round”.